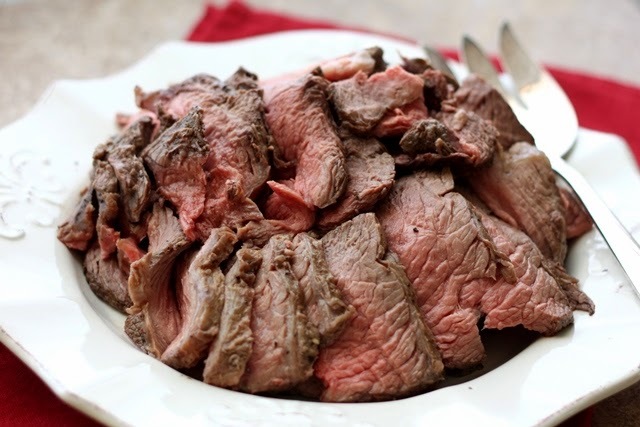 Perfectly Simple and Sliceable CrockPot Roast Beef is a great idea for Sunday dinner! 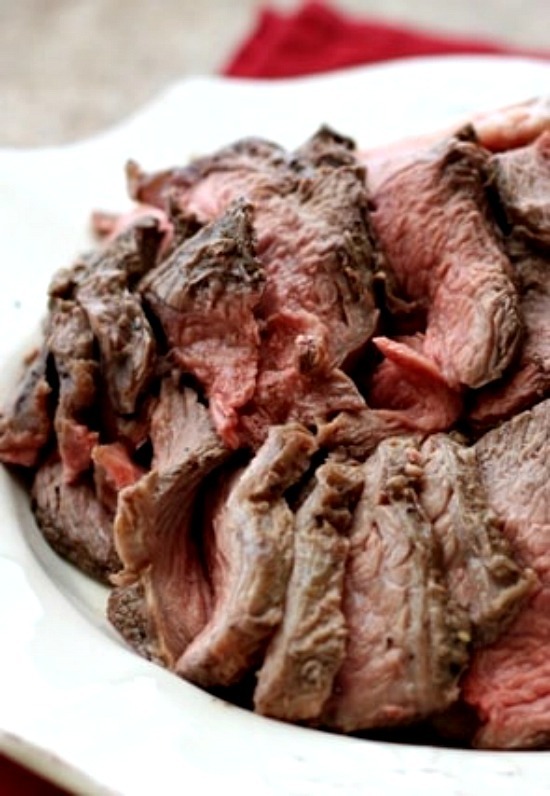 And this delicious CrockPot Roast Beef is low-carb, Keto, Paleo, and gluten-free. Click here to see The Top 25 Low-Carb Slow Cooker Dinners! (For Friday Favorites we spotlight past recipes that you may have missed, and this Perfectly Simple and Sliceable CrockPot Roast Beef from Barefeet in the Kitchen looks so delicious and easy to make. 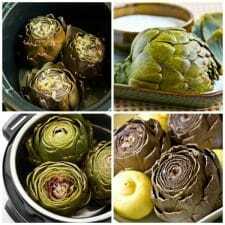 I have quite a few members of my extended family who are young moms with kids to feed, and one of them requested more “family-friendly” ideas using the slow cooker. And then someone on the Slow Cooker or Pressure Cooker Facebook page mentioned how much they liked the 5 Ingredients or Less category on the site. Those two things happening within days of each other had me looking for simpler, family-friendly slow cooker ideas, and I think this Perfectly Simple and Sliceable CrockPot Roast Beef from Barefeet in the Kitchen fits that description. Mary has mastered the technique of turning out perfect simple crockpot roast beef, even though her family prefers it on the rare side; hope you enjoy! Get the complete recipe for Perfectly Simple and Sliceable CrockPot Roast Beef from Barefeet in the Kitchen. Thanks for the share, Kalyn. (Your salsa chicken looks delicious, btw!) Have a blessed day! Thanks Mary, and you have a great day too! I can't wait to try this recipe. What kind of beef roast would you recommend for this? I’m clueless when it comes to the different cuts. Deer in the headlights! I’d click to the recipe and ask the blogger who made the recipe! Now, that looks yummy! Perfect for sandwiches if there are any leftovers.